Based on J.K. Rowling’s popular Harry Potter books, this class encourages the development of a social conscience, while allowing students to engage in fun wizarding activities. As members of Dumbledore’s Army, the class will fight seven real-world horcruxes. This fun, highly active class will allow students to make a real world difference! In our opening class, our witches and wizards will make their wands, name their house, and decide on the House Rules. The class will form Dumbledore’s Army and learn about the 7 real world horcruxes that they will be fighting this year. Dumbledore’s Army begins fighting the 1st Horcrux, the Illiteracy Horcrux, mounting a book drive to benefit the Friends of the Library free library program. Our witches and wizards learn to light their inner lights and to unlock their imaginations by using the charms “Lumos” and “Alohamora”. Dumbledore’s Army will continue learning about the Illiteracy Horcrux. The class will learn to make Bubotuber Pus and Felix Felicis (Liquid Luck). Dumbledore’s Army will finsish the fight against the Illiteracy Horcrux. Dumbledore’s Army fights against the Dark Arts in society, but witches and wizards also need to learn to defend themselves against the dark arts inside us. The class will learn to fight boggarts, and then learn about the 2nd Horcrux they will be fighting, the Hunger Horcrux. The class creates its own magical creatures and discusses how these creatures relate to the UU principles. We’ll learn more about the Hunger Horcrux and what local agencies like the Interfaith Food Pantry and Beans and Rice, Inc. are doing to fight this horcrux. Dumbledore’s Army continues the fight with the Hunger Horcrux by collecting and sorting all of the food donated to the Interfaith Food Pantry in our morning It’s Scary to Be Hungry food collection. They will also make a request to the congregation for a split the plate collection. The class learns that divination is not an exact science and that the future is never certain and can be changed by our choices. Two methods of divination are explored. Dumbledore’s Army finishes the fight against the Hunger Horcrux by playing games that aid in the fight against world hunger. Transfiguration can be used to change something from its original form into something totally different, whether its paper into an object, or something inside ourselves. Dumbledore’s Army begins learning about the 3rd Horcrux, the Poverty Horcrux. Every wizard and witch needs a quill of their own, and should learn to write and translate ancient runes. Dumbledore’s Army continues the fight against the Poverty Horcrux by running a warm clothing drive for new mittens, hats, gloves and scarves; and gently used Children’s coats. Collected items will be donated to the Montgomery County Christmas Store. Dumbledore’s Army makes scarves for donation to the Christmas Store, as part of their fight against the Poverty Horcrux. They collect the items donated for Mitten Tree and prepare them for donation to the Christmas Store. Our witches and wizards practice several charms, and discuss why some people want to ban Harry Potter books. Dumbledore’s Army gets a real-world experience of what it’s like to be part of the 1-in-4 people in Montgomery County who lives below the poverty level, as they finish their fight against the Poverty Horcrux. Plants have healing properties that can be viewed as magical. Herbal fragrances have been used for thousands of years to scent our homes, protect our spirits and heal our bodies. Witches and wizards will learn about essential oils and make an herbal-based gift. Sometimes things mix, and sometimes they don’t. The class will learn the Impervious Potion, and make Dr. Filibuster’s Liquid Fireworks. Dumbledore’s Army learns about the 4th Horcrux, the Sickness Horcrux. Our witches and wizards learn simple hands-on techniques to battle against the dark art of depression. Dumbledore’s Army continues the fight against the Sickness Horcrux by discussing how our own congregants can help. Ingredients will be transfigured into food, and milk will be transfigured into plastic. Dumbledore’s Army make a split the plate Sunday request for donations to Ronald McDonald House Charities of Southwest Virginia, as part of the fight against the Sickness Horcrux. Witches and wizards learn another method of divination and make their own wizarding hypnotizers. Dumbledore’s Army begins work on the 5th Horcrux, the Hatred Horcrux. Our witches and wizards make Herbal Bath Teabags. Dumbledore’s Army continues the fight against the Hatred Horcrux. Dumbledore’s Army continues the fight against the 5th Horcrux, the Hatred Horcrux by learning how to intervene, without escalation, when they encounter the Hatred Horcrux. Today we learn about, and create our own, Dragons, magical creatures that are very dangerous to work with. Dumbledore’s Army will finish the fight against the Hatred Horcrux. We’ll learn about Arithimancy, the study of divination through numbers. 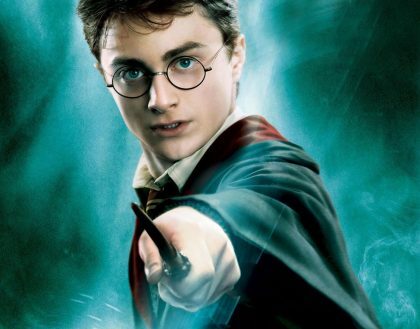 We will discuss the power of the number “7” in religious traditions and in Harry Potter. Dumbledore’s Army will learn about the 6th horcrux, the Animal Cruelty Horcrux. Our witches and wizards learn the charm “Repello” to make spider eggs flee. They will also make their own Time Turners. Dumbledore’s Army will set up a Pennies for Puppies / Koins for Kitties voting fundraiser to raise money for the Humane Society of Montgomery County, as they continue fighting the Animal Cruelty Horcrux. Witches and wizards will make their own Patronus art, and Dumbledore’s Army will learn about puppy mills, as they continue the fight against the Animal Cruelty Horcrux. Today is Explosion Day, with three potions that explode. Dumbledore’s Army continues the fight against the Animal Cruelty Horcrux. Dumbledore’s Army fills plastic eggs with dog treats in preparation for our annual Easter Egg Hunt for the Humane Society of Montgomery County, as they finish the fight against the Animal Cruelty Horcrux. We learn how to care for a real world “magical” creature, the hummingbird, and discuss what we would see in the Mirror of Erised and what we would do with a Cloak of Invisibility. Dumbledore’s Army learns about the 7th Horcurx we will be fighting, the Environmental Horcrux. Our witches and wizards use tarot cards to “foretell” the future, and practice using their inner eyes in a fun, and tasty, way. Dumbledore’s Army continues the fight against the Environmental Horcrux, working with the UUC Green Team. Dumbledore’s Army fights the Environmental Horcrux at UUC. They are fighting this horcrux with the help of UUC’s Green Team and Grounds Committee. We transfigure paper to make snowy owls and our own Marauder’s Map, and solemnly swear that we are up to no good. After mischief is managed, Dumbledore’s Army will finish the fight against the Environmental Horcrux by learning what their families can do at home to help in the fight. We learn about mandrakes, and how the ones in Harry Potter mirror the real life plant. We also plant Hagrid’s pumpkins. Dumbledore’s Army reviews this year’s fight and what they were able to accomplish against 7 real world horcruxes. In our Closing Ceremony, our witches and wizards will make their very own Goblets of Fire (chalices) to take home. We’ll award the O.W.L. certificates and enjoy a celebration. Witches and wizards will take home their wands and a Potions Handbook.